It's not all doom and gloom in the hedge fund industry right now. Even though there is a continuous barrage of bad news (mostly related to banks not being so willing to extend margin to hedge funds), some funds are still prospering. One of those funds is the flagship fund of the behemoth Brevan Howard, which currently has over $21 billion in total assets under management (there is approximately $17 billion in the flagship fund). Considering that the fund is up over 17% in the first two months of 2008, this would mean that the fund has made over $2 billion dollars for its investors so far this year. According to the Financial Times, the fund trades mostly in currencies, government debt and other securities. 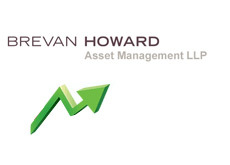 Considering the chaos that has overrun the hedge fund industry, Brevan Howard's returns so far in 2008 are all the most impressive. Not only have they navigated through a financial landscape which is littered with landmines, but they have also prospered and are making billions for their shareholders. It will be interesting to see whether or not they can keep this pace up throughout the remainder of 2008.